Gavin Sasson, of ADM Capital Europe, discusses the acquisition of a controlling interest in one of Europe’s largest olive oil producers, Innoliva, which produces extra virgin oils in Spain and Portugal. Many in the olive oil business would agree, getting a return on investment can be elusive. But a London-based institutional investor is bullish on the sector and has plunked down the cash to prove it. ADM Capital Europe, a private equity and investment firm, said it had acquired a controlling interest in one of Europe’s largest olive oil producers, Innoliva, a mostly bulk olive oil supplier to large bottling companies with high-density groves in Spain and Portugal. Innoliva’s own branded Arbequina was a 2017 NYIOOC Gold Award winner. Innoliva was founded in Navarra, Spain in 2006 and has grown to become a major player, producing up to 9,000 tons of extra virgin olive oil annually. Ninety-eight percent of its 9 million trees are Arbequina and the remaining are Arbosana and Koroneiki varieties. ADM Capital bought its controlling stake from the Del Pino family. Rafael del Pino y Moreno founded the construction company Ferrovial in 1952, which became one of Spain’s largest builders. ADM Capital acquired Innoliva through its Cibus fund, which seeks companies that take a “proactive approach in greenhouse gas reduction, water efficiency, soil preservation, animal welfare, ocean welfare, pollution reduction and poverty mitigation,” according to the fund’s website. In an exclusive interview, we asked ADM Capital partner Gavin Sasson about sustainability, adding value and his company’s entree into the olive oil business. How does the acquisition fit in with ADM’s ‘ecological’ mission? Ethical, sustainable and responsible investing has always been at the core of ADM Capital’s mission. Since its creation 20 years ago, ADM Capital has deployed over $3 billion via equity, debt and hybrid structures into companies around the world that, wherever possible, uphold strict principles of best practice. ADM Capital was one of the first asset managers to sign up to the UN Principles for Responsible Investment and has worked with various development finance institutions who have valued ADM Capital’s institutionalized adherence to strong ESG and Regulatory Compliance principles and reporting. IFC, Asian Development Bank, Netherlands Development Finance Company, European Investment Fund and European Bank for Reconstruction and Development among other Development Finance Institution have invested in ADM Capital’s various funds. its institutional investors, many of which include university endowments and pension funds. ADM Capital’s acquisition of Innoliva was made through the Cibus Fund, the newest of ADM Capital’s seven funds. The Cibus Fund aims to generate attractive investment returns by investing in high-value food production and processing companies in Europe, the US and elsewhere. The Fund’s ESG and Sustainability Policy stipulates that, wherever possible, projects be managed to IFC Performance Standards and towards Social and Environmental Sustainability. The Cibus Fund also intends to capture positive benefit from projects including in areas such as resource efficiency, pollution reduction, soil preservation, greenhouse gas reduction, animal and ocean welfare, good labor practices, as well as responsible handling of waste and production by-products. Innoliva’s own practices are, where applicable, consistent with these principles. The company’s Super High Density olive groves are entirely irrigated by surface and captured rainwater – the Company does not use groundwater. The groves in Portugal are irrigated with water from the Alqueva dam system, which is fed by the Alqueva, one of Europe’s largest artificial lakes, and its groves in Spain are irrigated with water sourced from surface rivers. European Commission for its ability to sequester atmospheric carbon and the company is an important member of the European Commission’s Technical secretariat for their Product Carbon Footprint project. Finally, the company sources a portion of its electricity from its own in-house power generators, fuelled by processed olive stones, and its irrigation pumping equipment at its Moura grove is entirely powered by solar cells. Why is ADM bullish on olive oil? ion of olive oil in Mediterranean countries is the highest in the world, total consumption in Mediterranean countries is not rising. The fastest growth in consumption of olive oil, in percentage terms, is coming from the developing regions of Asia where increasing wealth gives consumers the opportunity to develop an interest in high-value foods that are not traditionally associated with their national or regional cuisine. But absolute levels of consumption in these Asian markets pale by comparison with US consumption, which is the third -highest in the world. And, depending on whether one is looking at retail consumption or food service and industrial consumption, the rate of growth of US consumption of olive oil comes close to matching what we see in Asia. The fact that the US combines the world’s third-highest absolute level of olive oil consumption with high growth rates that, in certain sectors rival what we see in Asia, makes it a compelling growth opportunity. s that are used to define different types and grades of olive oil. At the same time, the Food and Drug Administration (FDA) has allowed a statement on bottles of olive oil that says that certain “scientific evidence suggests that eating about 2 tablespoons of olive oil daily may reduce the risk of coronary heart disease”. The FDA has also been proactive in taking action against companies that label their product as Extra Virgin Olive Oil when in fact it isn’t. These measures have supported a move on the part of many US consumers to adopt olive oil in preference to more traditional cooking oils such as corn and sunflower oil. The move towards more healthy eating, including increased consumption of salads, has also been behind the remarkable increase in the use of olive oil in the US. In what ways do you think you can add value to Innoliva? Will there be staff reductions at Innoliva? Innoliva’s senior management team includes highly experienced individuals, some of whose expertise is unmatched in the industry. 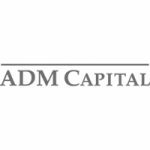 ADM Capital’s intention is to build on this experience and to make sure that the company’s management, production, processing, sales and marketing resources are able to take the company into its next exciting phase of growth. The U.S. is obviously a key market for olive oil exporters, but American olive oil consumption is not what it should be. What do you think can be done to increase U.S. adoption of olive oil and will Innoliva/ADM be a leader in that pursuit? Both ADM Capital and Innoliva will indeed be leaders in the move to meet increasing US demand for olive oil. Furthermore, since March of this year, Innoliva has been working with Harvard University in connection with Harvard’s ongoing research into the health benefits associated with regular consumption of moderate quantities of olive oil. Both ADM Capital and Innoliva are regular participants at food industry events, and ADM Capital is already present in the US as a significant investor in Aerofarms, the world’s leading indoor farming company. Together, Innoliva and ADM Capital will work assiduously with all US markets participants to help build awareness of olive oil. How concerned are your managers about climate change and its effect on your farms? With climate change, we are, of course, seeing increased volatility in weather. So, while many of the main olive growing regions of Spain have not seen substantial rainfall since July, last year there was more rainfall in the location of Innoliva’s Portuguese olive groves than since the 1950s. Innoliva and other olive oil producers, therefore, need to be able to deal with extremes of both rainfall and drought, and although irrigation makes the Innoliva less susceptible, it is nonetheless vulnerable to extremes of weather – as was shown last year. The effect of no rainfall on unirrigated olive groves can be calamitous, reducing yields to the point where it may not even make commercial sense to harvest them. Fortunately, Innoliva is largely unaffected by the absence of rainfall, and has been able to maintain olive production at industry-leading yield levels. The Alqueva dam system, which irrigates many of Innoliva’s olive groves, is able to supply unrestricted irrigation water to its surrounding area for four years without rainfall. But the broader issue of climate change and its effect on water-intensive crops such as olives does need to be tackled, and Innoliva is at the forefront of the industry in term of its use of developing technologies to optimise its use of valuable water resources. Innoliva makes extensive use of soil moisture and salinity sensors and reporting systems, it deploys water meters in all irrigation systems and has installed numerous climactic stations across its groves. The company is also trialing various water treatment technologies to see if they reduce viscosity and improve plant uptake. Other water use efficiency initiatives being trialed by the company include the use of the use of Mycogel (Mycorrizas), which is applied at the base of the olive tree to increase the soil’s capacity to absorb and hold water and nutrients in times of water scarcity. Mycogel treatment also aids in the reduction of soil erosion. Both Innoliva and ADM Capital are tremendously excited by this acquisition and see the partnership between the two organisations not just as the foundation for developing one of the world’s most important suppliers of extra virgin olive oil, but as further evidence that when correctly implemented, professional institutional financial ownership can be a driving factor behind ethical and responsible stewardship of valuable agricultural assets.